A new law sponsored by State Senator Mattie Hunter (D-Chicago) will aid qualified homeless and court-involved youth in finding potential job openings. House Bill 2987 requires a state agency to notify the Department of Human Services, the Department of Juvenile Justice and the Department of Children and Family Services of available job openings. Those agencies are then required to notify qualified applicants, and then keep record of the number of job applications they receive. Qualified applicants are to be 21 years of age or younger, and are currently or have been a dependent child in foster care, a homeless youth or a court-involved youth. Thanks to a new business program sponsored by State Senator Mattie Hunter (D- Chicago) individuals interested in entrepreneurship could receive state dollars for startup and project plans. House Bill 736 establishes a small business grant program that will provide money to low-income individuals on public aid. The legislation will serve as a pilot program that stems from the welfare overhaul reform that started in Wisconsin under former governor Tommy Thompson. The program will be monitored by the Department of Commerce and Economic Opportunity. DCEO will review application materials and make a decision on the qualifications and eligibility of each applicant, the grant amount awarded, if applicable, and the number of grants an eligible applicant will receive. In an effort to streamline the sealing of criminal records, a new law backed by State Senator Mattie Hunter (D-Chicago) will allow a defendant to immediately petition for the sealing of arrests or charges following an acquittal or dismissal of a case. House Bill 514 provides that following acquittal or dismissal, a defendant must be informed by the court of the petition procedure and his or her eligibility for immediate sealing of the records. A petition may then be brought by the defendant's attorney, and decisions concerning the immediate sealing of records may be made at the very same hearing. In the event that the petition is not granted, the petitioner, State's Attorney or State Police may file a motion to vacate, modify, or reconsider the order of the petition to immediately seal the records within 60 days of service of the order denying the original petition. House Bill 514, however, will not impede on a person's right to petition for sealing of these charges at a later date. This legislation becomes effective immediately. 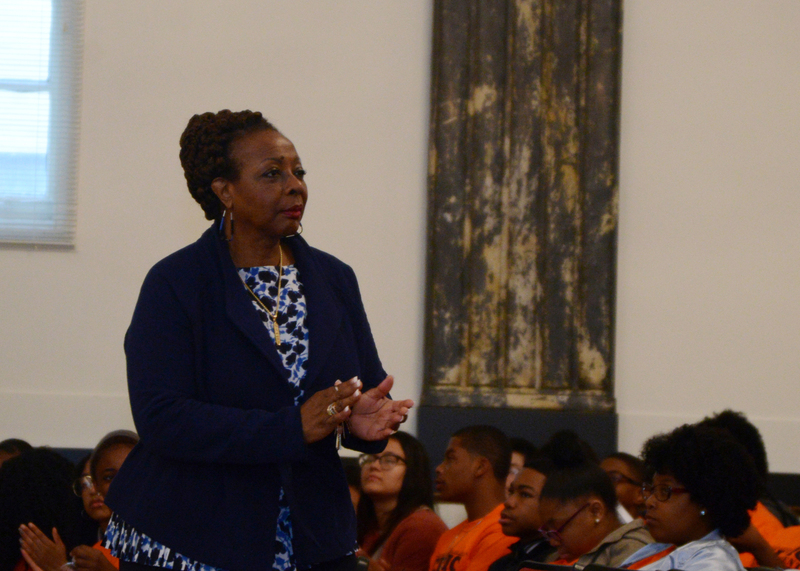 Feminine hygiene products will now be free and accessible for students grades 6-12 in public and charter schools thanks to legislation backed by State Senator Mattie Hunter (D-Chicago). House Bill 3215 is an initiative of “Illinois Moving Women Forward,” a group that aims to remove gender inequalities in order to enable women to achieve their full potential. Of their three principles, the group’s main focus is to protect and improve access to affordable healthcare for women. “Our younger women deserve to be taken care of and we as a state can do so at a small expense,” Hunter said. The legislation will make the products available, at no cost to students, in the bathroom of school buildings.